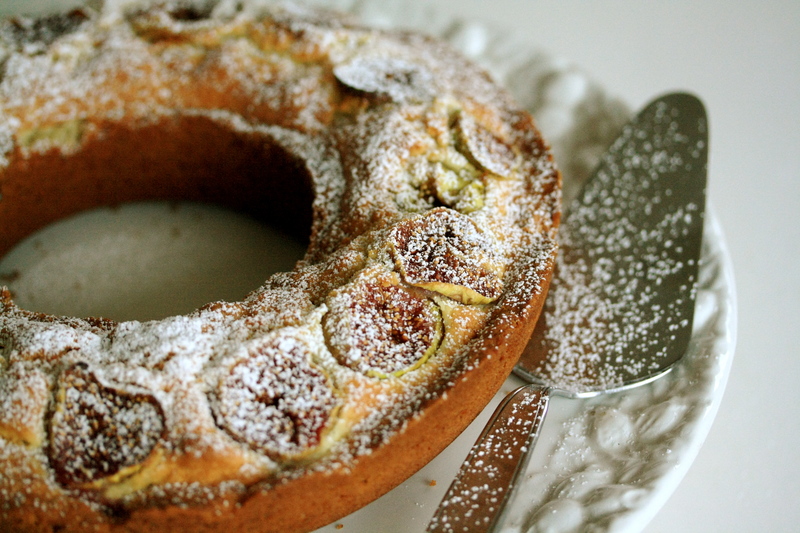 Well, when fig fatigue sets in, make cake! This is another one of those cakes that isn’t too sweet, making it perfect for snack or breakfast, as well as dessert. 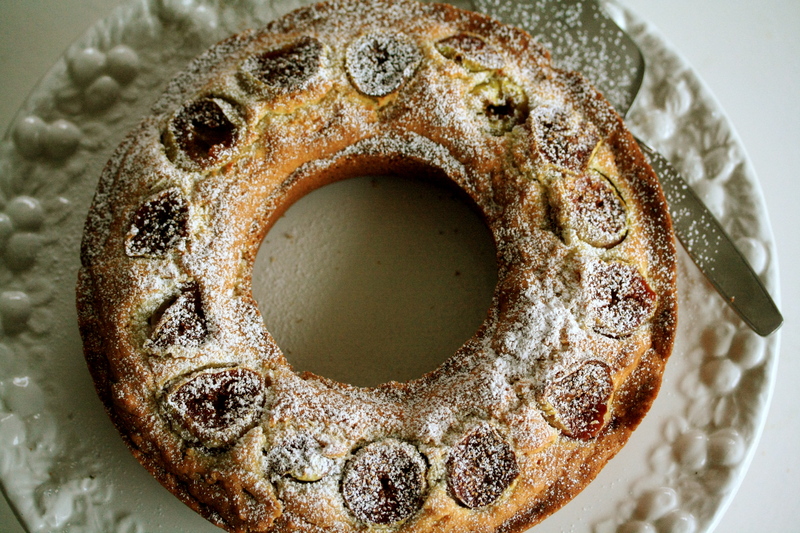 It’s light, crumbly, and studded with crunchy walnuts, which my nonna absolutely loves. 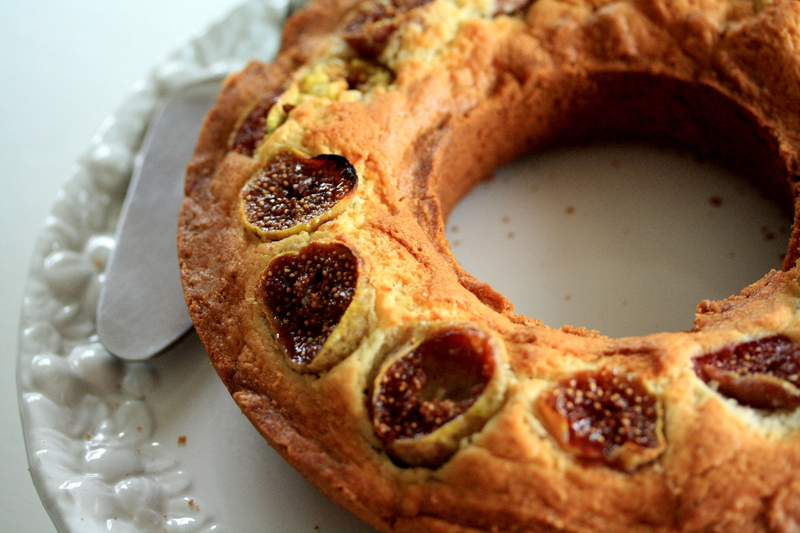 The figs on top turn jammy in the oven, giving the cake a little extra sweetness. Preheat the oven to 350 F and grease a bundt pan. Whisk together the eggs and the sugar until you get a pale yellow mixture. Add the olive oil, ricotta, lemon zest and juice and mix until uniform. Add the flour and baking powder and mix to form the batter. 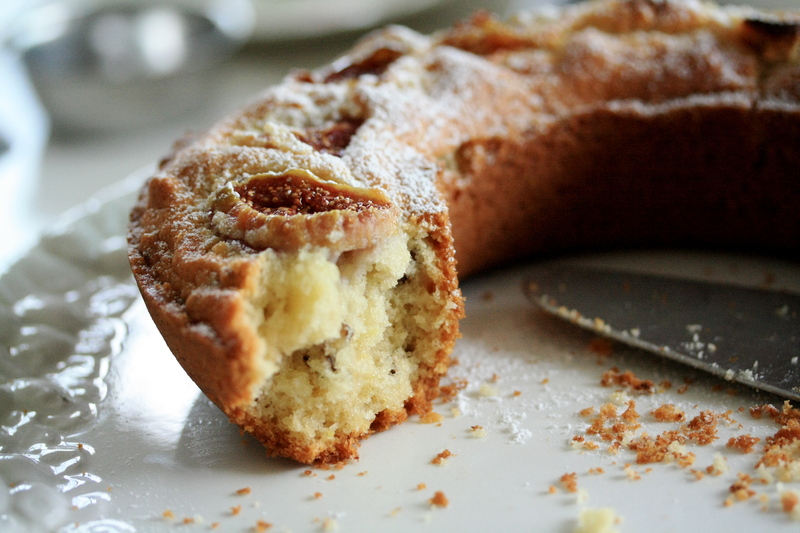 Fold in the chopped walnuts and pour the batter into the bundt pan. Peel and slice the figs and put them on top of the batter. Bake for 40-45 mins. Enjoy!